The official line is that vaccines are not implicated in autism with many officials choosing not to address the evidence by simply saying there is no evidence; however the walls are beginning to close in, on those in denial. 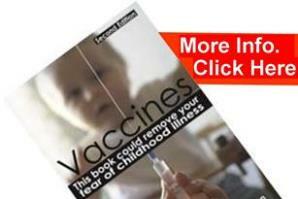 One simple study would be to compare autism rates in the vaccinated and unvaccinated. And what were the results of that study? “Generation Rescue is a small non-profit organization. For less than $200,000, we were able to complete a study that the CDC, with an $8 billion a year budget, has been unable or unwilling to do. We think the results of our survey lend credibility to the urgent need to do a larger scale study to compare vaccinated and unvaccinated children for neurodevelopmental outcomes. In addition there are now details of a settlement reached in 2007, disclosed in March 2008, as the first autism case where United States government lawyers agreed that it was triggered by childhood vaccinations. Hannah Poling v. U.S. Department of Health and Human Services. This concession was granted without any courtroom proceedings, effectively preventing any public hearing discussing what happened to Hannah and why. Details were revealed in The New York Times, March 8, 2008. Hannah, of Athens, Georgia USA, was 19 months old and developing normally in 2000 when she received five shots against nine infectious diseases. Two days later, she developed a fever, cried inconsolably and refused to walk. Over the next seven months she spiralled downward, and in 2001 she was given a diagnosis of autism. United States government officials state that this is a very rare case of vaccine damage due to the nature of a ‘rare’ mitochondrial disorder that Hannah was suffering from, the implication is that most if not all other autistic cases do not satisfy these conditions. It was then referred to as a mitochondrial dysfunction, i.e. not as bad as a ‘disorder’ because in fact Hannah had no symptoms before the vaccines. However in acknowledging the impact of vaccines in these individuals, evidence is emerging that suggests mitochondrial disorders among autistic children are not rare at all. At the American Academy of Neurology 60th Annual Meeting (April 2008), a retrospective analysis of 41 children with autistic spectrum disorders who were being evaluated for suspected mitochondrial disease showed that 32 (78%) had defects in skeletal muscle oxidative phosphorylation (OXPHOS) enzyme function and 29 of 39 (74%) harbored abnormalities in the OXPHOS proteins, both indicative of mitochondrial dysfunction. Far from being rare this one study suggests that more children on the autistic spectrum have this disorder, than do not. 20th Feb 2009 – 10 year old Bailey Banks awarded damages after ruling concluded MMR vaccine caused Encephalomyelitis and subsequent autism. According to Dr Donald W Millerphysician and teacher of cardiac surgery at the University of Washington, School of Medicine: “Another important factor with regard to mercury on the mind, which officials at the CDC, FDA and the professors in the IOM do not consider, is synergistic toxicity – mercury’s enhanced effect when other poisons are present. A small dose of mercury that kills 1 in 100 rats and a dose of aluminium that will kill 1 in 100 rats, when combined have a striking effect: all the rats die. Doses of mercury that have a 1 percent mortality will have a 100 percent mortality rate if some aluminium is there”. The fact is, we have done the calculations, and as a result of the work of independent researchers and campaigners bringing this evidence to the attention of government officials, some vaccines previously containing high doses of thiomersal have had their mercury levels dramatically reduced, after 70 years of injecting mercury into children the authorities decided to do something about it. Yet these authorities have still not once acknowledged the role of vaccines in cases of neurological damage in vaccine victims. However once the decision had been made to reduce these levels of mercury, in some vaccines, it took an additional number of years to achieve as the pharmaceutical companies were allowed to use old stocks of vaccines containing the high levels of mercury. The reduced level still leaves mercury present in quantities of about 0.3 – 0.5 mcg of mercury, a quantity that is left over from the manufacturing process and this does not of course address the issue of Aluminium toxicity. It is injected past the bodies’ natural lines of defence. It is organic in nature therefore gaining easier access to the internal tissues. Children before 6 months old cannot eliminate mercury efficiently as they are not yet able to produce bile. In addition there are still vaccines in use that contain a huge 25mcg of mercury that are currently given to children and adults, mainly the tetanus and some flu vaccines, which the British government are considering adding to the childhood vaccine schedule. And the WHO still uses the old vaccines in developing countries, as the reduced mercury-containing single vial shots are considered to be too expensive. 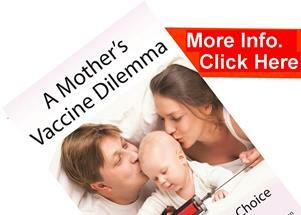 The fact that most health authorities missed the opportunity to clinically assess the toxicity of vaccines or to inform their health professionals of the exact nature and content of vaccines, and in addition failed to notice the adverse effects of these vaccines in individuals – until independent researchers brought these facts to light, illustrates how the very authorities in whom we entrust our health are either completely incompetent or for whatever reason have more important concerns than the health and wellbeing of their public.